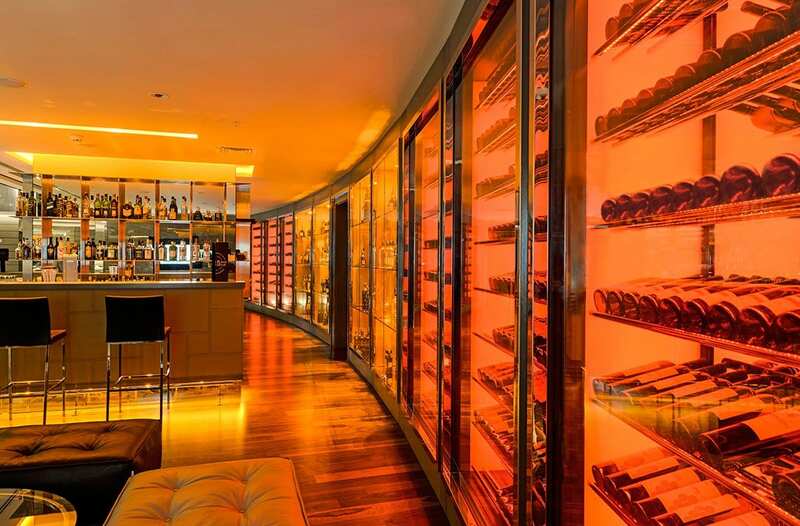 Twin wine cellars adorn Radisson Blu Hotel’s semielliptical lobby. The cellars with their intricate design of lights and reflections meld well with the rest of the bar area which consists of two similarly detailed hard liquor cabinets and a bar counter at their centre. The cellars are set at two different temperatures for keeping red and white wines separately at temperatures closer to their serving temperature which ensures a more smooth operation.